Stripped down to its basics, a motorcycle is a pretty simple thing. While incremental detail improvements have squeezed ever better performance from today’s machines, even the most cutting-edge bikes follow the same basic layout of a wheel at each end and an engine in the middle. It doesn’t take long to familiarise yourself with a bike’s main bits and pieces, helped in no small part by the fact that, the odd bit of bodywork aside, pretty much everything is on show. Knowing what each part is, what it does and how it relates to everything else around it isn’t strictly necessary, but there’s no harm in having an understanding of how a bike works and how everything works together. It will also be useful when it comes to doing basic maintenance and when checking for wear and tear or diagnosing minor mechanical issues. For simplicity’s sake, we’ll divide the key elements of a bike into two parts: first, the main components, and second, the controls you’ll use to operate it all. Starting at the front, then, you’ll find the front wheel. Mounted to it will be the front brake, either one or two discs, each with a hydraulically operated brake caliper (the days of front drum brakes, even on very small capacity motorcycles, scooters and mopeds, are, thankfully, behind us). Smaller, lighter bikes and scooters will be fine with a single disc, but bigger, heavier and more powerful machines will have two. The front wheel connects to the rest of the bike via the front forks – the pair of telescopic tubes that attach to the front wheel spindle at one end and the motorcycle’s main frame at the other. The forks are the front suspension: each leg contains a spring and damping oil, with the lower part of the leg able to move up and down with the front wheel to absorb bumps from below while supporting the weight of the bike and rider from above. There are two types of front fork: conventional and the so-called ‘upside down’. With conventional forks, the lower part of the fork leg is the outer tube, while the narrower inner tube is clamped to the frame above. With upside down forks, the two are reversed, with the thicker outer tube clamped to the frame while the thinner lower section is attached to the wheel. Upside down forks are more rigid and tend to be fitted to larger and more performance-orientated models. Over the years various manufacturers have experimented with alternatives to the front fork. 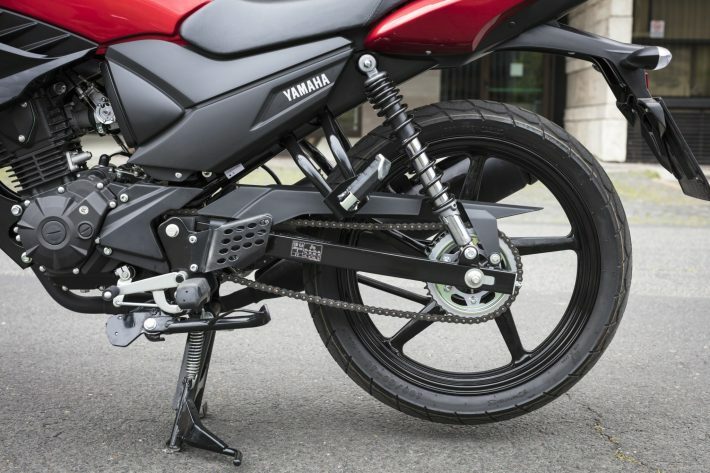 Yamaha launched its hub centre-steered GTS1000 tourer in 1994 and BMW has developed various incarnations of its front Telelever and Duolever set-ups that offer some advantages over regular forks. The forks are held in place by a pair of yokes, which are mounted to the motorcycle’s frame at the headstock or steering head. The yokes can rotate left and right in the steering head, in turn moving the whole front fork and wheel assembly. Once again, a bit like a bicycle, albeit upscaled. In its most basic sense the frame is simply a cradle from which everything else hangs; in reality, its role is a bit more complex. Its dimensions and the angles of various elements of it – its geometry, in other words – along with the method and materials of its construction, will determine how the machine handles, how quickly or slowly it steers, how stable it is and, to a degree, how comfortable the bike is to ride. There are a few different types of frame design but they all provide fixed points to which the front and rear suspension are attached while holding the engine in place and providing somewhere to sit. Frames are made from either steel tubes or aluminium: commuter bikes, street bikes, cruisers and off-road style bikes tend to be made from the former, while sports and supersports machines usually have aluminium frames. Some manufacturers, notably Ducati, have long been associated with distinctive steel trellis frames, although the Italian manufacturer switched to an aluminium frame for its Panigale superbike. Mounted on top of the frame, and just behind the steering head, you’ll find the petrol tank – or, at least, what appears to be one. In recent times many fuel tanks, particularly those on sports bikes, have actually migrated down and back a little to a lower and more central position in search of better weight distribution. What looks like a fuel tank on many bikes may in actual fact simply be a cover for the engine’s airbox. No matter, at the very least you’ll find the fuel filler cap there. Immediately behind the fuel tank is the seat, which will either be a one piece affair or, in the case of sportier machines, a stepped two-piece design. There’s not much to say about seats other than to note that the seat height can be an important factor to consider when choosing a bike, particularly if you’re on the short side. Nestling somewhere in the middle of the frame and beneath the fuel tank/airbox will be an engine. 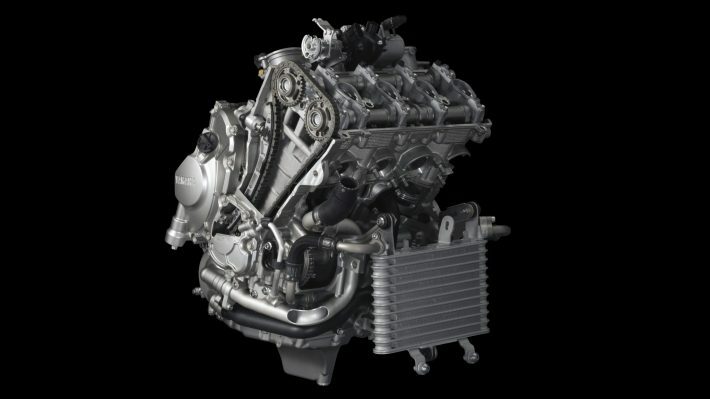 Engines are covered in more detail elsewhere, so suffice to say here that the engine sends its power to the rear wheel either via a chain drive, sometimes a toothed belt drive (much like a car’s cambelt) or, in the case of larger and more touring-orientated bikes, a shaft drive. Chain drive is by far the most common. Maintenance can be a bit of a pain (and messy), but a chain is strong and can handle the power of high-performance bikes. 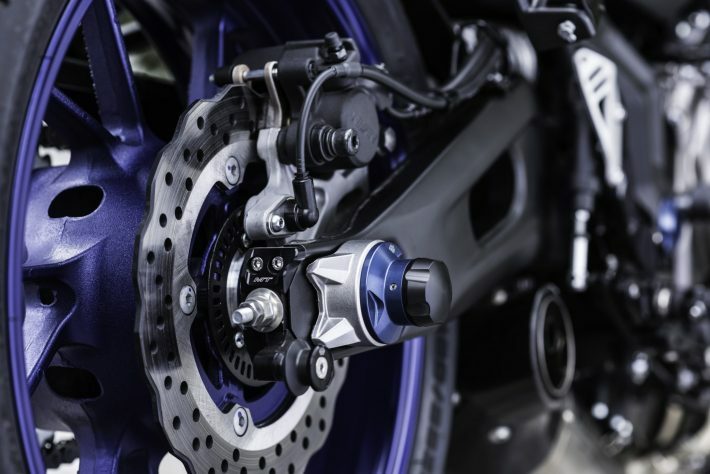 Shaft drives are maintenance free but they add weight and absorb quite a bit of power, and the rotating shaft can affect the bike’s handling under hard acceleration. Belt drives are smooth, quiet and also maintenance free (until the belt itself requires replacement) but they can’t handle high power outputs. 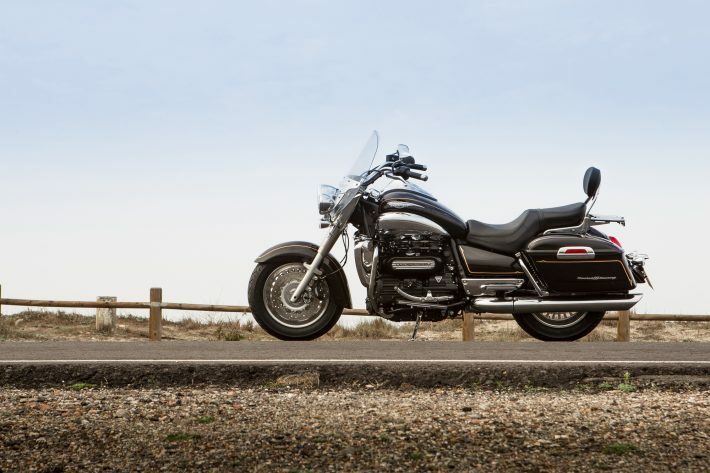 Whatever the method of final drive, it connects the engine to the rear wheel, almost always doing so on the left-hand side of the bike. The rear wheel is mounted in the rear swingarm, which attaches to a pivot point at the back of the main frame and allows the wheel to move up and down. Rear suspension will be taken care of by usually one or sometimes two shock absorbers. Twin rear shocks were once ubiquitous, one mounted on either side of the swingarm and connecting it to the frame rail above the rear wheel. Later came single or monoshocks, which are now commonplace. The shock absorber is hidden largely out of sight at the back of the engine, connected to the frame at one end and the swingarm, via linkages, at the other. Some smaller commuter bikes and custom-style machines stick with the twin-shock design. Also at the back, on the opposite side of the rear wheel to the final drive chain or shaft, you’ll find the rear brake. Disc brakes are the norm these days, although some smaller lightweight bikes and scooters make do with the old-fashioned drum brake. Now, how to do you operate it all? Mechanically speaking, then, those are the basics. So how do you operate it all? Fortunately, as with the mechanical layout, motorcycles’ controls have been standardised over the decades, so once you’ve mastered them you’re set for life. It is, as they say, like riding a bike. Sit on the seat and ahead of you you’ll see the handlebars. These will be either a one-piece design mounted to and across the top yoke or two-piece ‘clip-on’ type handlebars, each mounted to one of the fork legs. Either way, they do the same thing, turning the front fork and wheel assembly left or right. On the right hand handlebar is the throttle twistgrip and ahead of it the front brake lever. Also on the right-hand ’bar will be a cluster of switchgear, in this case incorporating at least a starter button and an engine kill switch. 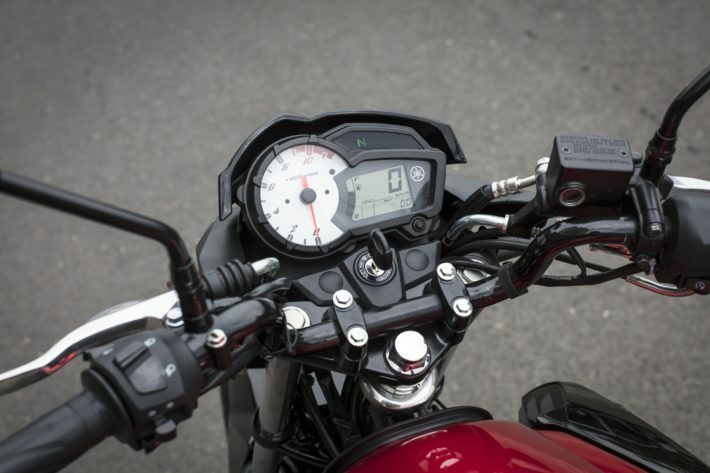 On the left-hand handlebar you’ll see the clutch lever and another set of switches, at its minimum incorporating a horn button, an indicator switch – left for left, right for right and push to cancel – and a high beam/dip switch for the headlights. 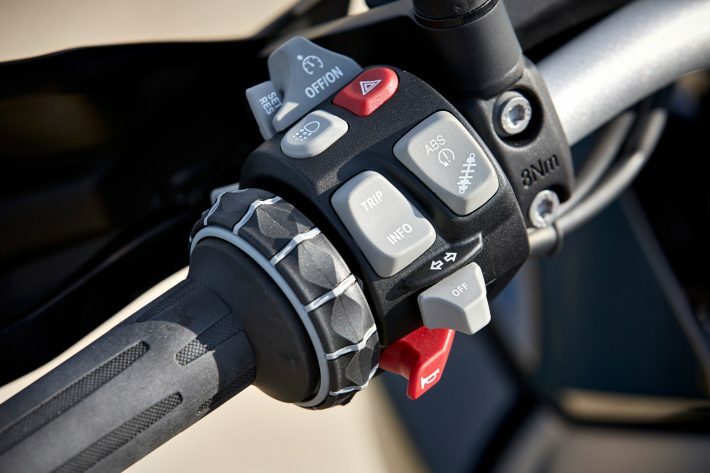 Other switches might include controls for heated grips or seats, or those for cruise control (on big tourers) or different engine or suspension modes. But let’s not worry about those here. Also ahead of you, usually mounted quite centrally in the top yoke will be the barrel for the ignition key and, above that, either mounted to the top yoke or fixed within the top fairing, depending on the style of machine, the instruments and warning lights. Long ago, the speedometer and rev counter consisted of round dials; today expect any combination of analogue or digital dials and/or a numerical digital display. You might also notice various mechanical adjusters, specifically on the brake and clutch levers to adjust the lever span, ie the distance the lever is from the handlebar, and also on the top of the fork legs. These suspension adjusters – used to change the spring preload and the forks’ damping action – shouldn’t be fiddled with willy-nilly. Only change things if you’re confident you know what you’re doing, and then only in a methodical manner. Down towards the bottom of the frame and the rear of the engine are the footrests. Ahead of the left footrest will be the gear lever – click down to select first gear then up for second through to sixth, while ahead of the right footrest is the rear brake pedal. Also towards the rear you might find a remote adjuster for the rear suspension. Again, as with the front forks, only start playing with this if you’re sure you know what you’re doing. And that, as far as the mechanical layout and controls is concerned, is that. Now you’re familiar with the workings of a motorbike, we’ve got our top tips on staying safe!